Aiyana Jones (left) and Sijui Bartrum (right). 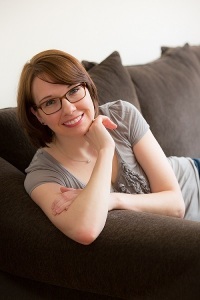 Photo by Claire Capuccilli. Sijui Kama Bartrum took up dancing at a young age – but as she got older, others told her it was time to give up her hobby. Instead, she found a new form of her favorite artistic expression. Bartrum, a senior, is the president of McDaniel’s Belly Dancing Club. The club is a small but close-knit community of people who enjoy dancing. So far this year, the club has had two performances on campus. Bartrum has been involved in dancing from a young age, and she readily discussed how belly dancing has helped her express herself. Bartrum also noted how belly dancing helped her make her college choice. She said she is excited to be in her position as president and hopes to inspire others through her moves. 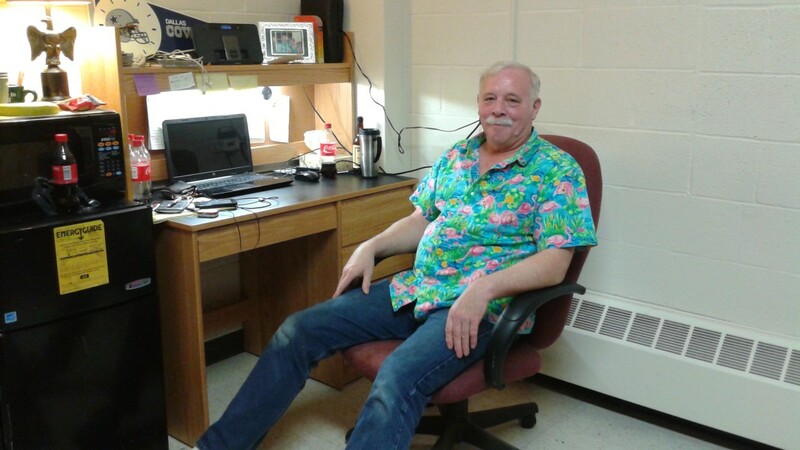 “I was very happy with the club when I was a freshman and learned all that I could so that I could one day teach the class myself,” Bartrum said. Sophomore Aiyana Jones is the vice president of the club. 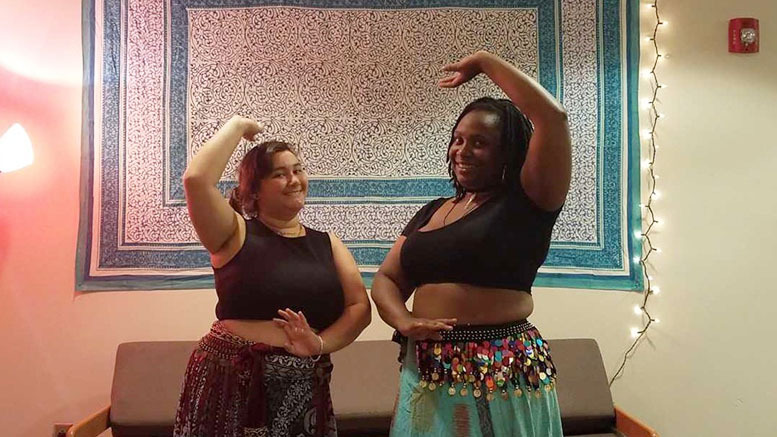 Like Bartrum, the Belly Dancing Club has helped her assimilate to McDaniel and college life. Imani Jackson, a freshman, was excited to start dancing as well when she arrived on campus.